We bet you didn’t realize it, but coloring curly hair is an entirely different animal from a stylist’s point-of-view! Coloring or Highlighting your hair is done to accentuate the texture of your cut, add dimension to your style, and cooperate with the natural fall and movement of your hair. Moreso, when we use color chemicals on curly hair, additional stress is put on the hair that can affect your curl pattern – and not in a good way! Curlistas already need to add extra moisture to their routine to address the natural dryness of curly textured hair, and coloring only increases the importance of hydration for your tresses. Our curly hair experts use specific techniques and protective treatments that enhance the finished look while protecting your curls! This hand-painted technique optimizes your color service by allowing the stylists to color curl-by-curl, highlighting the bounciest curls. By highlighting freehand with the use of foils, your color service becomes completely customized based on what will work best with your unique texture and shape. This helps to create texture and color definition that matches your curl definition instead of “patchy” or “streaky” results. Because this color service is hand-painted and entirely customized, clients can expect anywhere from 3-6 hours for this service! Scroll through the gallery below for more Curly Color Inspiration! What is a Thermal Silkening? This natural hair styling method is aimed at smoothing and straightening the hair using heat tools and protective products. The final product is a relaxed look without the chemical process required for a relaxer. After a good cleanse and condition, your natural texture will return, unlike with a chemical straightening service. The results of a Thermal Silkening will differ based on the client’s natural texture, density, maintenance care, and how often it has been straightened. Our hair learns from our styling regimens and becomes trained to lay straight if a silk service is performed regularly. For clients who are not accustomed to using heat to straighten their natural texture, the results of their Thermal Silkening will improve with each appointment and typically last longer than the first press. A common concern we hear regarding what is most commonly known as a “silk press” is wanting to know how long the style will last after an appointment. 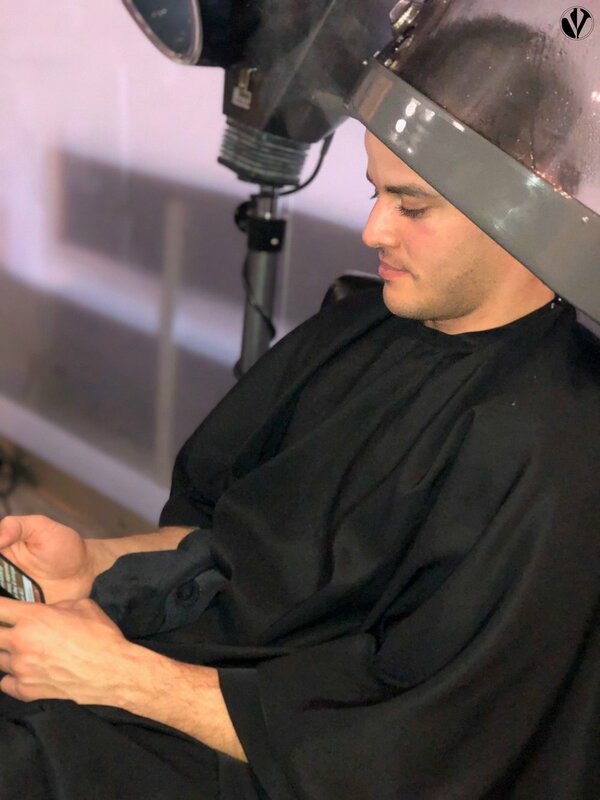 The answer differs based on many factors, but with the proper care and maintenance, we anticipate clients will get anywhere from 1-3 weeks from their Thermal Silkening style. Allow your stylist to perform a Thermal Silkening service instead of doing your own at home. Professional tools and products used in the salon are specifically designed to maximize the style as well as the health of your hair. We've been dreaming of summer since the first day of cool weather last year, but now that it has arrived it seems we forgot the troubles that heat, humidity, and sweat bring to our good hair days. We've put together a list of some of our top must-have products for summer to keep your look lasting through the warmest, wettest days! 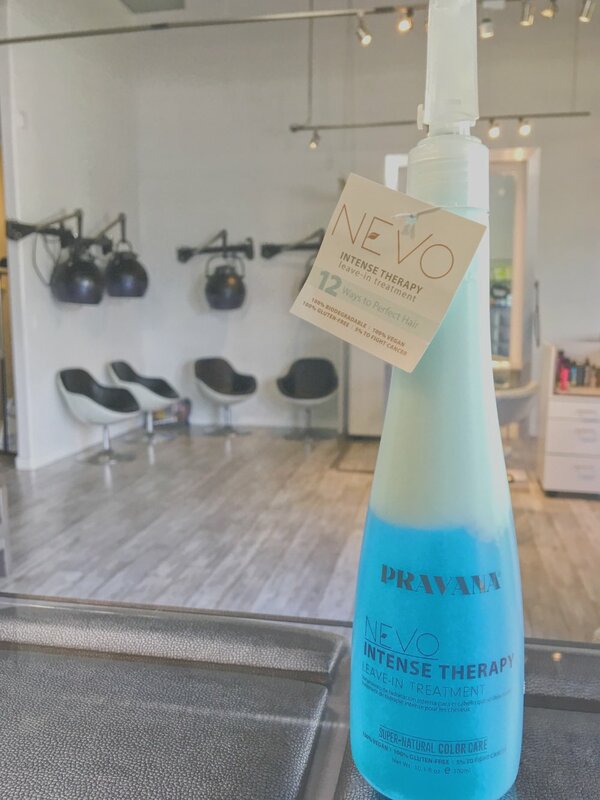 There are so many reasons why we love this leave-in conditioning treatment by Pravana. It works well for all textures of hair and can substitute many of the products we guarantee you have on your home beauty bar. Did you know that your hair can be damaged by UV rays from the Sun just like your skin can? This product will protect you from sun damage! In addition, it also serves as a detangler, a deep conditioner, a color-safe anti-humidity eliminator, and reduces discoloration from chlorine. Blondes - this is especially important for you! This holding spray is a perfect finish for natural hairstyles to reduce frizz, "poofiness", and adds a light shine to your silky styles. We can't get enough of this spray for locking down your summer styles! If you'll be leaving town for your summer vacation and missing some of your treatment appointments, toss these miracle-makers in your carry-on and keep up with your Healthy Hair regimen wherever you are! It only takes 60 seconds and leaves hair feeling noticeably hydrated. Curly Girls - we know what can happen when your curls experience a little neglect in the summer. Salty beach waves are a summer stunner's goal, but the lasting effects on your curl pattern are less than desirable. We have travel-friendly treatments available for you to take on the go and keep your curls fresh wherever your summer adventures take you. The Buildup Buster is perfect if time between washes gets to be too much and your hair needs a thorough cleansing - especially after swimming in chemical-filled pools! Deep Sea Repair is perfect for clients spending lots of time in ponytails and could use an extra boost of strength. Melt Into Moisture is a go-to for any curlista, as hydration is typically needed more for clients with curls. After a day in the sun, add some extra moisture to your locks with this ultra hydrating mask.